We can see from what is recorded in the Bible that in every age of His work, God chooses and appoints some people to coordinate with His work. All those personally appointed and used by God have the confirmation of God’s word. Even if there’s no word of God, there should at least be the confirmation of the work of the Holy Spirit. Like during the Age of Law, God appointed Moses to lead the Israelites; that is proven by God’s words, just as Jehovah God said, “Now therefore, behold, the cry of the children of Israel is come to Me: and I have also seen the oppression with which the Egyptians oppress them. Come now therefore, and I will send you to Pharaoh, that you may bring forth My people the children of Israel out of Egypt” (Exo 3:9–10). In the Age of Grace, the Lord Jesus appointed the 12 apostles to shepherd the churches. This is also evidenced by the Lord’s words. Just as the Lord Jesus said when He appointed Peter: “Simon, son of Jonas, love you Me? … Feed My sheep” (Jhn 21:17). “And I will give to you the keys of the kingdom of heaven: and whatever you shall bind on earth shall be bound in heaven: and whatever you shall loose on earth shall be loosed in heaven” (Mat 16:19). We can see from this that anyone appointed and used by God is personally witnessed by God, there is God’s word as proof and the confirmation from the work of the Holy Spirit. All their work is upheld by God. Obeying their work and leadership is obeying God. If we resist a person God appoints and uses, we’re resisting God and will be cursed and punished by God. Just like in the Age of Law, Korah, Dathan and their people resisted Moses. What happened in the end? They were directly punished by God. God caused the earth to open and swallow them all. Everyone knows this is a fact. In the Age of Grace, the apostles appointed by the Lord Jesus all have the confirmation of the Lord’s word. But are today’s religious pastors and elders appointed by the Lord? Is it evidenced by the Lord’s word? Most of them are cultivated by theological schools and have graduate certificates in theology. They have become pastors by relying on theology certificates, not because the Holy Spirit personally bore witness to them and used them. Isn’t that a fact? Who among us have heard or seen the Holy Spirit personally bear witness to or appoint any pastor? It never happens! If they are truly appointed by the Lord, there would surely be the true testimony of the Holy Spirit and many believers as witnesses. Therefore, religious pastors and elders are not appointed by the Lord. This is certain! We’ve heard that there are even some pastors who don’t believe the Lord Jesus came from conception by the Holy Spirit. They don’t think “conception by the Holy Spirit” has any basis or conforms with science. It is even less likely these people would admit that Christ is the manifestation of God. If such pastors existed during the time when the Lord Jesus worked, they certainly would not have accepted the Lord Jesus. Then how would they treat the appearance and work of God incarnate in the last days? They would all be like the Jewish chief priests, scribes, and Pharisees, furiously condemning and opposing the Lord Jesus. Are such pastors and elders people who genuinely obey God? They don’t even believe in God incarnate, and moreover don’t acknowledge the truths expressed by God incarnate. Aren’t these people antichrists? So is our view that “Religious pastors and elders are all appointed and used by the Lord” still tenable? If we insist that these pastors and elders are appointed and used by God, then isn’t that slandering and blaspheming God? Would God appoint and use these unbelievers and antichrists to lead God’s chosen people? Isn’t such a viewpoint too absurd, too fallacious? Isn’t this twisting facts and confounding right and wrong? Some absurd people in religious circles often misuse words from the Bible to make up rules. They claim that the hypocritical Pharisees and religious pastors are all appointed and used by God. Isn’t this severely resisting and blaspheming God? Many people just don’t know how to distinguish. They believe in the Lord but don’t magnify Him, instead advocate gifts, status and power, and also blindly believe in and worship pastors and elders. They can’t distinguish whether one has the work of the Holy Spirit and the reality of the truth. They simply think as long as one has a pastor certificate and gifts and can analyze the Bible, it means he is approved and appointed by God, and that he should be obeyed. Some people are even more absurd and think obeying pastors and elders is obeying God, and that resisting and condemning pastors and elders is resisting God. If we go according to such notions, the Jewish chief priests, scribes, and Pharisees who were all familiar with the Bible and often explained the Bible to others, but resisted and condemned the Lord Jesus when He appeared and worked, and even crucified Him, were they people appointed and used by God? If one followed the Jewish leaders in resisting and condemning the Lord Jesus, does that mean they were obeying God? Would you say those who rejected Jewish leaders and followed the Lord Jesus were resisting God? This shows that the view “Obeying pastors and elders is obeying God, resisting and condemning pastors and elders is resisting God” really is too absurd and fallacious! We believers of God should be clear that if religious pastors and elders resist God, and the path they lead goes against the truth and opposes God, then we should stand on the side of God, expose them, and reject them. That is true obedience to God. That is forsaking darkness for light and is completely in line with God’s intentions. Therefore, when it comes to how to treat pastors and elders, we should pursue the truth and understand God’s intentions. If pastors and elders are people who love the truth and pursue the truth, then they will surely have the work of the Holy Spirit and be able to lead us to practice and experience God’s words, fearing God and shunning evil. Respecting and following such people accords with God’s intentions! If they don’t love the truth and only care about explaining their Bible knowledge and theological theories to show off and build themselves up, and to make us worship and obey them, if they don’t exalt God or bear witness to God, and don’t lead us to practice and experience God’s words, then they are people who have been condemned and cursed by God and we will be opposing God if we still worship, follow and obey them. This would be completely against God’s intentions. What exactly is obeying God and following God? Concerning this aspect of the truth, let us first read a passage of Almighty God’s words: “Of principal importance in following God is that everything should be according to the words of God today: Whether you are pursuing entry into life or the fulfillment of God’s will, everything should be centered around the words of God today. If what you commune and pursue are not centered around the words of God today, then you are a stranger to the words of God, and totally bereft of the work of the Holy Spirit. … Those who can follow the present work of the Holy Spirit, and who are able to follow the footsteps of God, such that they follow God wherever He leads them—these are people who are blessed by God. Those who do not follow the present work of the Holy Spirit have not entered into the work of God’s words, and no matter how much they work, or how great their suffering, or how much they run about, none of it means anything to God, and He will not commend them. … ‘Following the work of the Holy Spirit’ means understanding the will of God today, being able to act in accordance with the present requirements of God, being able to obey and follow the God of today, and entering in accordance with the newest utterances of God. Only this is someone who follows the work of the Holy Spirit and is in the stream of the Holy Spirit. Such people are not only capable of receiving God’s praise and seeing God, but can also know God’s disposition from the latest work of God, and can know man’s conceptions and disobedience, and man’s nature and substance, from His latest work; furthermore, they are able to gradually achieve changes in their disposition during their service. Only people such as this are those who are able to gain God, and who have genuinely found the true way” (“Know the Newest Work of God and Follow the Footsteps of God” in The Word Appears in the Flesh). Following God primarily refers to following God’s current work, submitting to and practicing God’s current words, being able to keep God’s commandments, seeking out God’s will in all matters, practicing in accordance with God’s word, and absolutely submitting to the work and guidance of the Holy Spirit. Finally, it refers to becoming a person who practices the truth and follows God’s will. Only this kind of person is a follower of God, one who gains God’s salvation. If in our faith we outwardly rely on and exalt the Bible while in reality our practice and experience are according to the words and teachings of the humans in the Bible instead of submitting to and practicing the word of God from the Bible, and if we do not grasp God’s intentions and instead only adhere to religious ceremonies and rules, this is following man. If we follow and practice the words of the people from the Bible as if they were the words of God, yet consider the Lord Jesus a mere figurehead, ignoring His words and doing nothing to follow His commandments, then we will surely be spurned and cursed by the Lord Jesus just as the hypocritical Pharisees were. There are many people who have faith in the Lord, yet blindly worship spiritual celebrities or pastors and elders—they revere the hypocritical Pharisees. Whatever befalls them they run to the pastors and elders to seek guidance and they do the same when it comes to investigating the true way. As a result, they are deceived and misled by the hypocritical Pharisees and religious leaders and they start down the path of resisting God—these are the consequences and ends of following man instead of God. The only way to truly follow God is to solely base our faith on following the work of the Holy Spirit, following the current words of God, following the footsteps of the Holy Spirit’s work, and giving our utmost to fulfill our duties. Especially as God does His work of judgment in the last days, the religious world has lost the Holy Spirit’s work and it has become desolate. When we are compelled to seek the true way, we must turn our attention even more to seeking the Holy Spirit’s words for the churches; we must seek out the words and utterances of God and the work of the Holy Spirit. If we do not seek out the words and work of the Holy Spirit, if we are unable to hear the voice of God, if we are unable to gain the sustenance of God’s current words, then we will instead be eliminated, cast aside during God’s work in the last days, tumbling into the darkness, weeping and gnashing our teeth. People who truly follow and submit to God will never be abandoned by Him. Those who worship religious pastors and elders are submitting to man and are followers of man. These people will ultimately be exposed by God’s work—they will be eliminated and cast aside. Even though from our mouths we cry out that we believe in God and that we should only follow God and submit to Him, however, what happens in reality is not the same. We can see this clearly from the way that those of the Jewish faith in the Age of Grace treated the Lord Jesus in contrast to how Peter and John and others did. The Lord Jesus performed His new work, issued forth the truth, and brought the way of repentance, but most of the Jewish people at that time only listened to the teachings of the chief priests and the Pharisees. They did not accept the work and words of the Lord Jesus, and as a result they lost the salvation of the Lord Jesus. Nominally, they believed in God, but in reality they believed in the chief priests, scribes and Pharisees. However, Peter, John, Matthew, Philip, and the others saw that the words and work of the Lord Jesus held authority and power, and that they were the truth. They saw that the words and work of the Lord Jesus came from God and so they followed Him closely. They were not subject at all to the control of the Pharisees and they were the ones who truly followed and obeyed God. 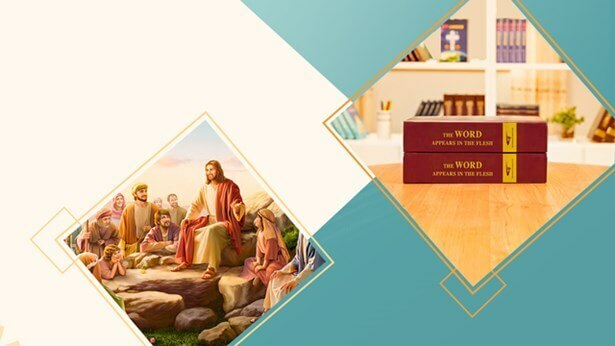 In the last days, the only way to truly follow and submit to God is to accept and submit to Almighty God’s judgment work, and this fulfills the prophecy found in the Book of Revelation: “These are they which follow the Lamb wherever He goes” (Rev 14:4). Currently, leaders in the religious world are playing the role of the Jewish Pharisees, making every effort to exalt the words of man in the Bible, yet they betray the words of the Lord Jesus. Even more absurd, they exploit the Bible by citing verses out of context to condemn the work God does in the last days—they do this to deceive, bind, and control believers. For example, the Lord Jesus clearly stated that only “he that does the will of My Father which is in heaven” will enter the kingdom of heaven. Yet among the leaders in the religious world, they say that all one needs to do in his faith is to work hard and he may then enter the kingdom of heaven, and that the kingdom of heaven is something that can be seized by force. The Lord Jesus required of us: “You shall worship the Lord your God,” yet some so-called spiritual celebrities lead believers to seek out how to become God or to seek out becoming a king and wielding power over all nations and all peoples, which is thoroughly preposterous. Leaders in the religious world nominally do work for the Lord and preach sermons, but in reality they are just spreading the teachings of man, promoting their own ideas as the truth for us to comply with. They are just like the hypocritical Pharisees and they are the blind trying to lead the way. They are resisting Christ, trying to oppose Him on equal footing; they are antichrists working to create separate, independent kingdoms. Once we the faithful begin following the leaders and celebrities of the religious world, we begin taking our own path and deviating from the Lord’s way; this is a very serious instance of resisting and betraying God. If we do not repent, we will surely be cast aside and eliminated by God. Previous：Question 32: Religious pastors and elders have a strong knowledge of the Bible; they often interpret the scripture for others and have them adhere to the Bible. So is expounding upon and elevating the Bible really bearing witness to and exalting the Lord? Why is it said that religious pastors and elders are hypocritical Pharisees? We’re still not clear on this issue—could you answer this for us? Next：Question 34: Religious pastors and elders hold the power in the religious world and most people obey and follow them—this is a fact. You say that religious pastors and elders do not acknowledge the fact of God’s incarnation, that they don’t believe the truth expressed by God incarnate and that they are walking the path of the Pharisees; we agree on this point. But why do you say that religious pastors and elders are all hypocritical Pharisees, all antichrists exposed by God’s work in the last days, and that their final outcome will be to sink into destruction and perdition? This is not something that we are able to accept at this point. Please fellowship on your basis for this claim, that these people cannot be saved and that they will all sink into destruction and perdition. People often say that it is not an easy thing to know God. I, however, say that knowing God is not a difficult matter at all, for God frequently allows man to witness His deeds. ...so long as man wishes to know God, he can come to understand and know Him through all sorts of means and methods. ...Coming to know the substance of God is no trifling matter. You must understand His disposition. In this way, you will, gradually and unknowingly, come to know the substance of God. The meaning of incarnation is that God appears in the flesh, and He comes to work among man of His creation in the image of a flesh. So, for God to be incarnated, He must first be flesh, flesh with normal humanity; this, at the very least, must be true. In fact, the implication of God’s incarnation is that God lives and works in the flesh, God in His very essence becomes flesh, becomes a man. 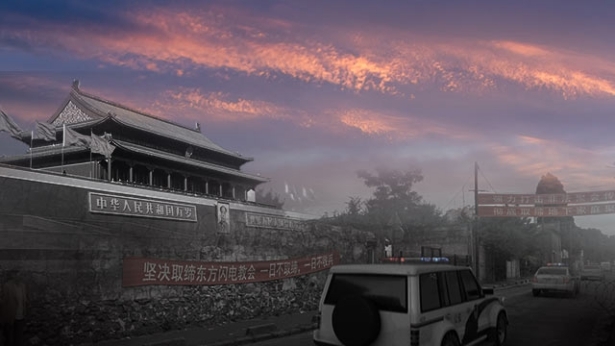 The manifestations of the great red dragon are resistance to Me, lack of understanding and comprehension of the meanings of My words, frequent persecution of Me, and seeking to use schemes to interrupt My management. … In a dark society such as this, where the demons are merciless and inhumane, how could the king of devils, who kills people in the blink of an eye, tolerate the existence of a God who is lovely, kind, and also holy? How could it applaud and cheer the arrival of God?